If you can’t find what you’re looking for, send us a message and we’ll be happy to assist. What if I don’t have the 30% in cash? The lender will allow “Gift Funds” to cover the 30%. Meaning if you have a relative, friend, associate or investment partner that would like to “gift” you the 30% down payment it will be allowed. Please keep in mind, we need to see the trail of funds leaving the donors account and into your personal account or escrow account. The funds also are required to be “seasoned”. Seasoned means we will require verification by the bank that the funds used have been in a financial account for a minimum of 60 days. This is to prevent money laundering and a legal requirement. I bought my house years ago for cash. Can I still refinance? Yes. We have closed numerous mortgage loans on US Real Estate that does not currently have a mortgage. In this case you can extract up to 65% (65LTV) of the appraised value or US$2M, which ever is more. As the entire transaction happens in the US, there is no requirement to repatriate the funds back to Korea. 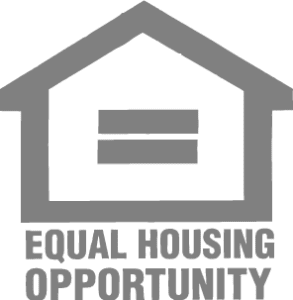 I don’t have US credit or residency, how can I get a mortgage loan? This mortgage program was created for exactly this reason. The lender understands that not everyone buying US Real Estate can or even wants to buy a property with all cash. There are many reasons why you shouldn’t pay cash and always maintain a mortgage.The lender does not require US credit or US residency. This is a purely asset based mortgage. The lender will require a Letter of Good Standing from your bank, however, that is easy to obtain and we’ll assist you with getting it. What happens if I miss one payment? If you’ve ever lived in the US, you’ll know credit is very important in almost every aspect of you life. One of the many benefits to obtaining a mortgage is establishing a US credit rating. This will help you in the future if you want to purchase or refinance another property. If you miss one payment the lender will not foreclose, however, it will be reported to the three US credit agencies. If you run into financial issues please contact the lender and explain your situation. Often they can assist or offer advise on the situation. The interest rate varies on the LTV (Loan to Value). Basically how much you intend to borrower to the appraised value of the property. The lower the LTV, the lower the risk, the lower the rate. Can I sign up for a 15-year (or 20-year) mortgage instead? The lender only offers 30 year amortised mortgage loans. There are several advantages to this program. Loans are amortised for 30 years regardless of your age. A 70-year-old person can still get a 30 year mortgage. Spreading the payments over 30 years reduces the monthly, however, there is no prepayment penalty on any loan which means at any time you can pay down or off the loan as you wish. You can make two payments a month. You can make annual lump payments. Etc. If I want to reduce my monthly payment is Interest only an option? Yes, interest only is a great way to manage your payments if you don’t intend on keep the property long term and want to maximise on your rental yield. Please keep in mind that the “Interest only” option needs to be chosen at the time you apply for the loan. What is a “stated income loan”? A stated income loan is a loan where the lender does not verify your income documents. These loans are perfect for individuals that earn their income outside of the US, self employed individuals or people that have income from various sources. This has been very popular in Asia due to the “privacy” factor. You will not be required to show any income documentation. How can you offer these direct in Korea with no middle man? This is a very unique loan program offered by the largest non conforming lender in the US an affiliate company of one of the largest funds in the world. These programs do not qualify under ATR or Dodd-Frank which allows them to be offered direct. Can I buy under my business? Our lender only offers mortgages to individuals, however, once the loan is closed and the title is recorded in your name, you can move the title into any type of vehicle you wish from a trust to a business. Please contact your tax attorney, lawyer or financial advisor for more details. Do I need a US bank account? No, there is no requirement to open a US bank account. Your mortgage payments can come from any source regardless of origin. 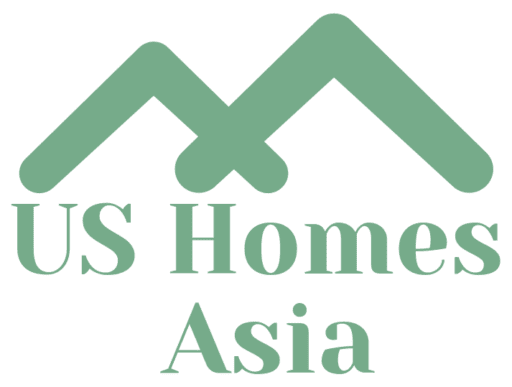 Am I getting a higher rate because I am getting my US mortgage loan in Korea? Absolutely not. If the exact same borrower was to apply for the exact same loan in Korean or in the US, they would get the same rate and terms. Do I need to go to the US at any time during the loan process? No. You can do everything from completing your initial application to the signing of your final mortgage documents all in Korea. Please keep in mind that several pages will require a US Notary or Apostille Seal. This can be done at the US Embassy/Consulate or through an approval Apostille service. But don’t worry, we will be with you for the entire process including signing the final documents.